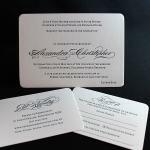 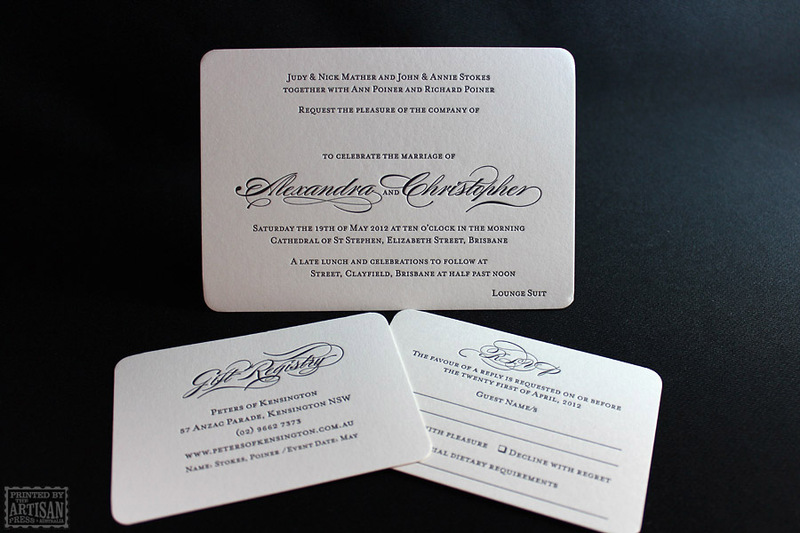 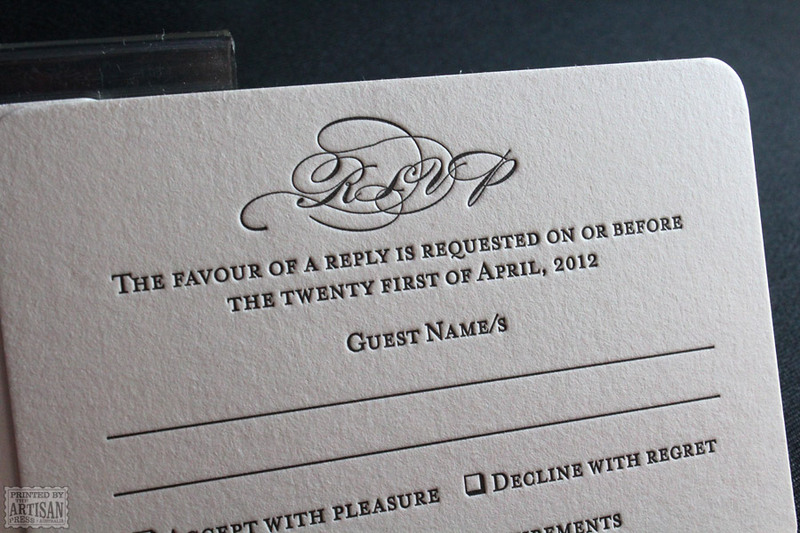 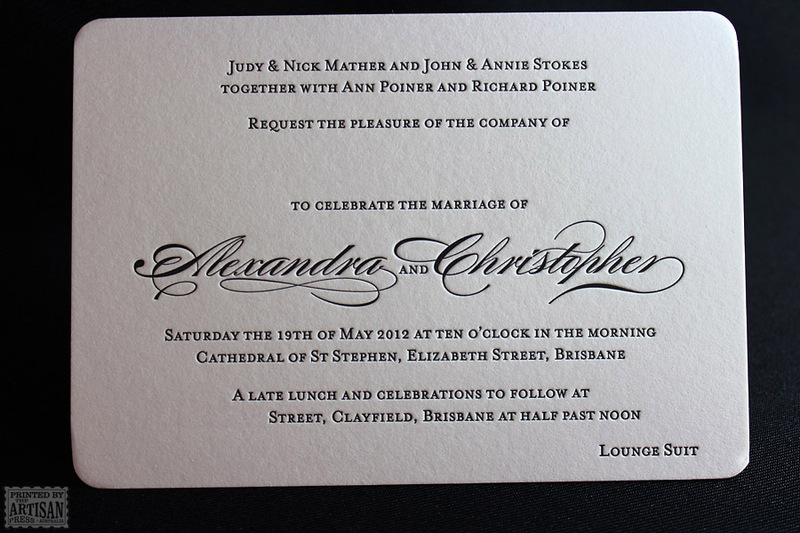 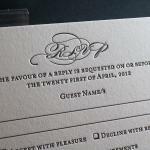 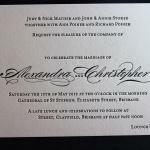 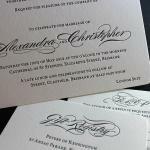 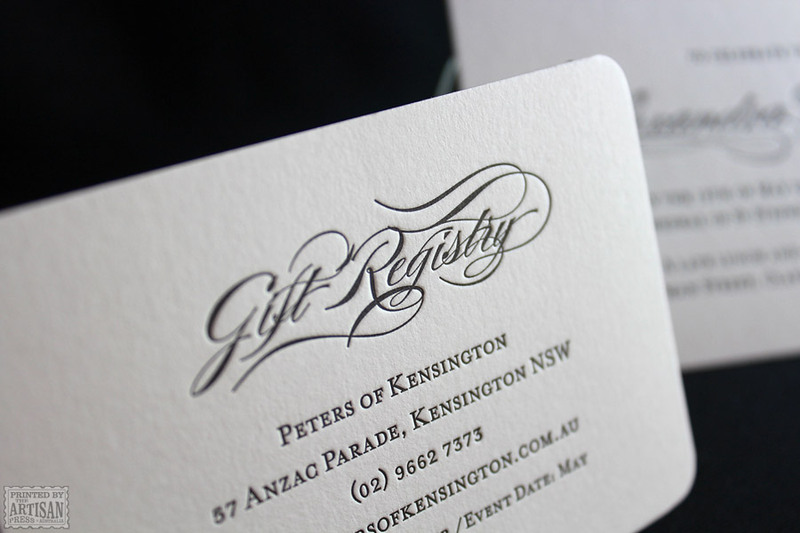 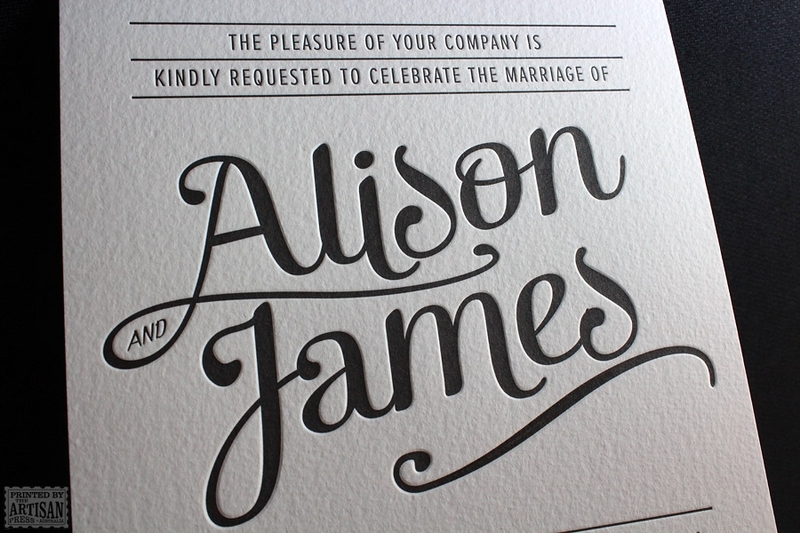 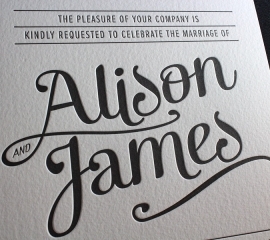 A classic text wedding invitation design with a modern letterpress twist. 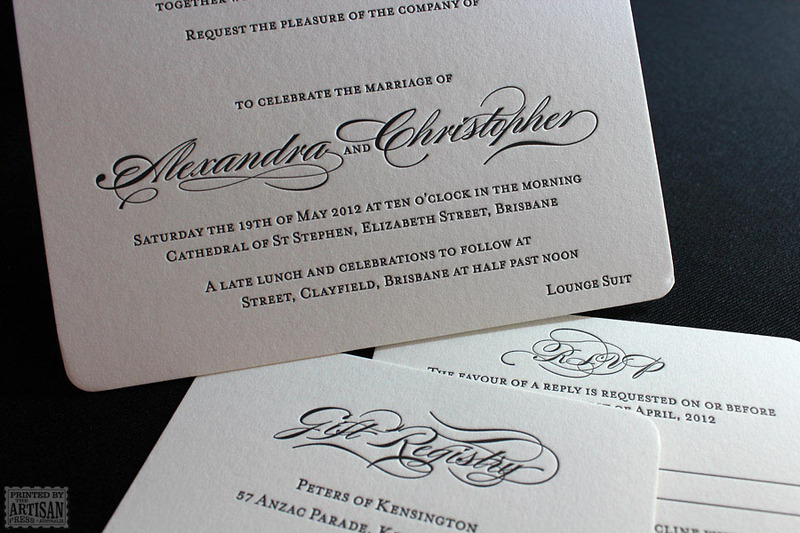 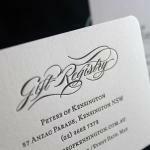 The simplicity and elegance of the letterpress printed script and the beautiful Italian cotton paper allow each to compliment the other. 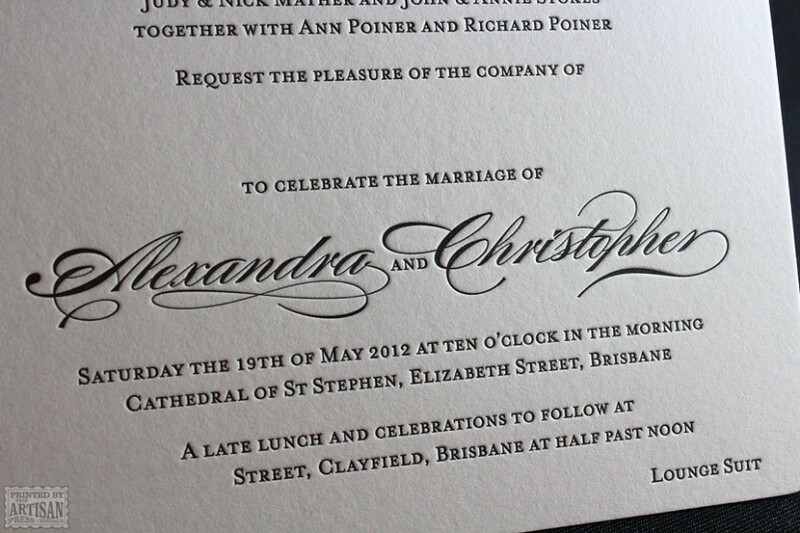 Sure to make the queen of the angels sigh.